I have one more canyon to share with you. The last couple weeks I shared Bryce Canyon. 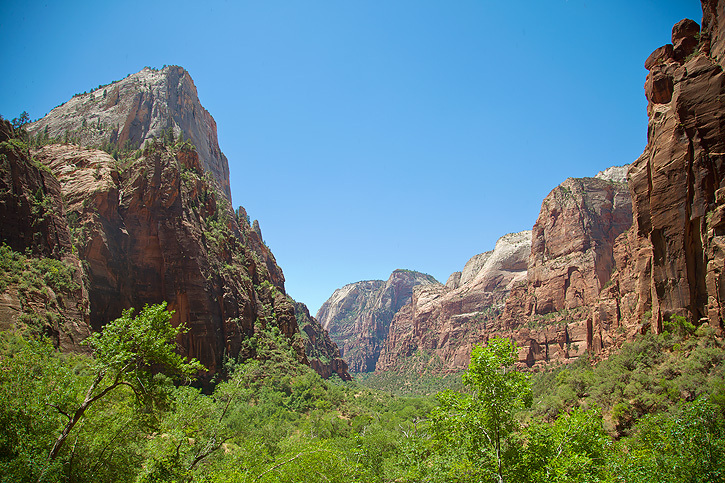 This week it's Zion National Park which is also in Utah. The two canyons are very different. Bryce Canyon is at 8000 feet. Zion is at 4000. At Bryce you are at the top looking down into the gorgeous canyon views. 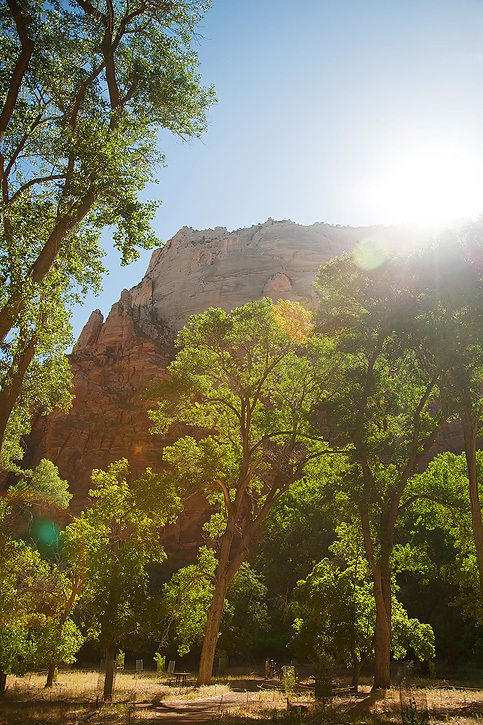 At Zion you are on the floor of the canyon looking up at the red walls all around that jut toward the sky. So when you hike the trails at Bryce you hike down into the canyon and then back up. 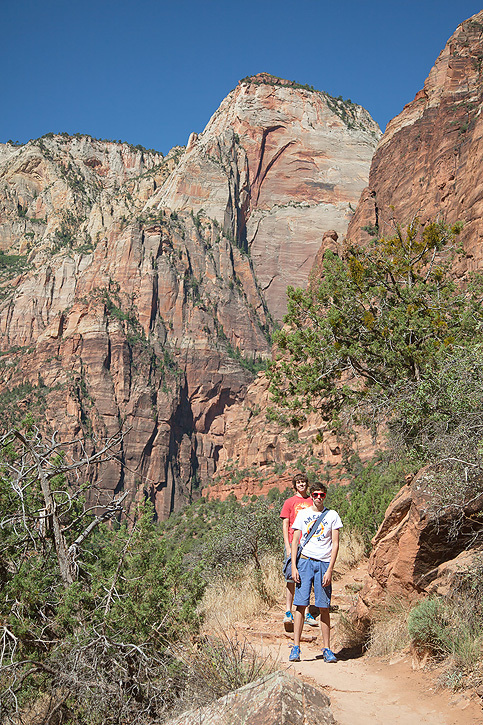 When you hike at Zion, you go up first and then back down. It's time to share your photos! There are just a few rules. Such gorgeous views - 26 hours IS a long time to travel but I think it must have been worth it to see these sights. I'd love to visit these places - maybe one day!!!!! Looks to be one of this places which has to be experienced in real life to appreciate it fully. Love your first photo Deb. 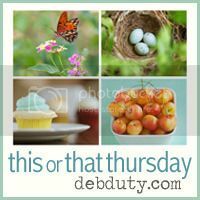 Wow - I have loved looking at these photos and the ones last week Deb. The landscape is so different from what I am used to and your photos are so beautiful! 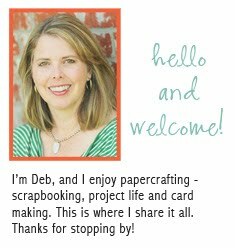 Wowza, Deb! Y'all have visited some really beautiful places this summer. Gorgeous captures! Such a beautiful are in this, our WONDERFUL USA! What a great vacation Deb. I love that area of Utah- leaves one in awe! Two places I hope to see someday. But not this year, I will be crossing Acadia Maine off my list this year. Another place I grew up visiting! Just beautiful. Wow! Just stunning. I cannot get over the blueness of that sky. The hubs has been dying to get an RV so we can just go (with all of our kids, this is much cheaper than trying to get hotel rooms). I've been hesitant but now that the kids are older I want to share those memories with them and your pictures have just reinforced that for me. The western United States has some amazing natural features. You've captured some wonderful memories. that last shot is especially gorgeous. Wow!!!! Amazing photos, such a beautiful place. I would love to visit. These canyons are awesome. I regret we never visited the Grand Canyon when we lived in Arizona. As taken from an American movie. I love anything with mountains or canyons...breathtaking. truly stunning views! THanks for sharing, because I am not sure if we could ever make that drive! In a few weeks I'm going to Zion, and am so happy you're giving all this info:) Looks like I need some good walking shoes!! Oh yes, good walking shoes is a must! If you get a chance, eat at The Flying Monkey. It was delicious! Thank you for alerting me to your reply. I tried to see where you had written about the Flying Monkey, but can't find it...we stay in a cabin approx. 45 min. from Zion. Where is this restaurant? When I get back from Sacramento July 16 (new grand child) I'll looke for your reply here:) Thanks so much! I haven't written about The Flying Monkey on my blog although I probably should! We ate there when we first arrived in Springdale. It's located just maybe a couple miles from the park. Coming from the park it would be on the left. They have a website at http://www.flyingmonkeyzion.com/. Even though we were only at Zion for two nights, we managed to eat at The Flying Monkey three times! We have never gone back to same place more than once on vacation but it was worth it! Delicious pizzas, sandwiches and salads. Gorgeous photos! Looks like a wonderful place to visit! I missed last week's post due to VBS busy-ness. I'll have to go check it out! Oh gosh that's totally gorgeous! I'd love to visit there one day. Amazing views!! I love that first photo! Deb, looks like you had great time. 26 hours? Yikes! You got some amazing pics though! Love them all! It's gorgeous! I had a conversation with my hubby tonight that went like this "we REALLY need to go to Utah - to visit Bryce Canyon and Zion National park". And your photos really reinforce my feelings! Stunning and I bet the experience in real life is phenomenal. What a beautiful place to visit!! It definitely IS worth the drive! Beautiful images Deb. My parents did a trip to the US about 10 years ago, hired an RV and travelled to many of the National parks (Yellowstone, Yosemite, Bryce Canyon, Zion, and a couple more I can't remember). Their photos are spectacular!! Now these are some more amazing views Deb! You captured them so beautifully. My son Joseph went there and loved it too. One day I would love to visit! Your pictures are amazing. I looks like such a wonderful vacation. 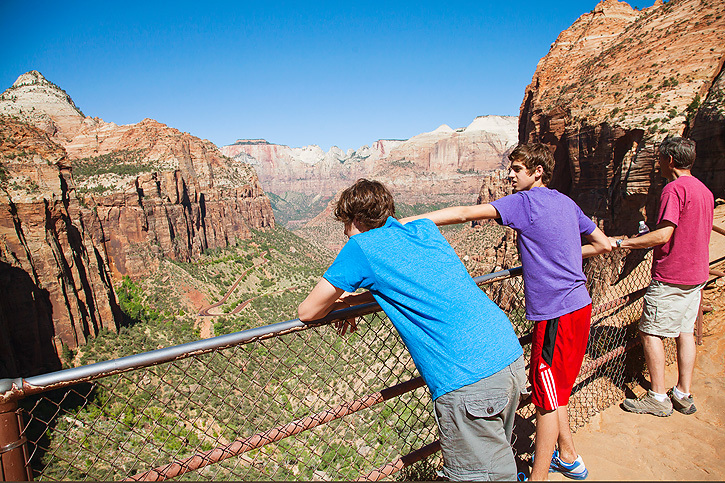 Great pictures... and very valuable information about the canyons. I'll be visiting these places in three weeks, I'm really looking forward to it! Love it! 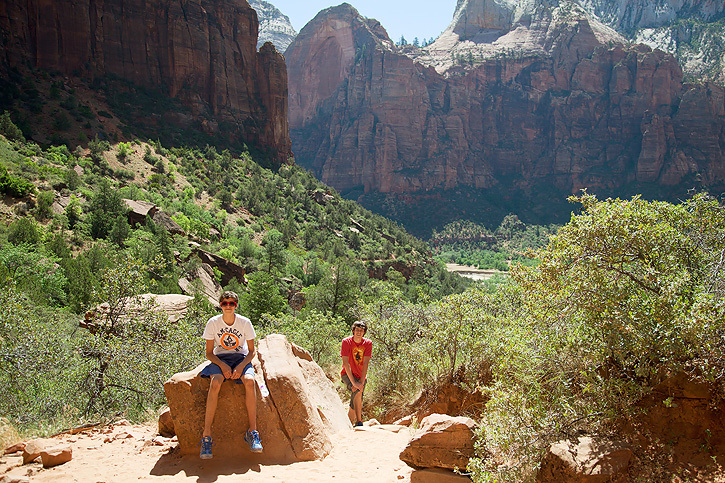 We were at Zion before Bryce last summer. Both amazing places to visit and hike.